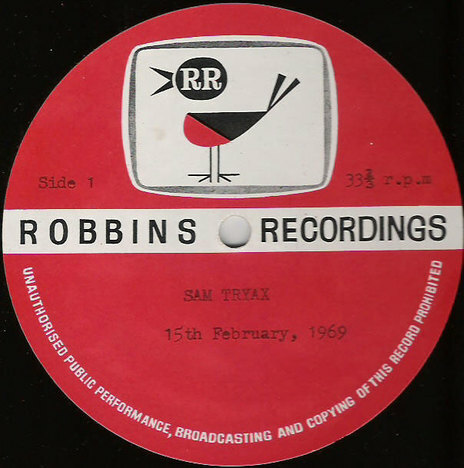 Part of a thriving South Island indie label scene in the sixties (including Peak, Joe Brown, and Master) the Robbins Recordings label grew out of the Keith Robbins-owned Robbins Recordings Studio in Christchurch, which for many years was the premier recording facility in the South Island. Although the studio produced many of the early recordings by future icons such as Max Merritt (his landmark 1958 single ‘Get A Haircut’ was recorded here by Robbins), and Ray Columbus & The Invaders, these records didn’t appear on the Robbins label, which was established in 1961. The studio also recorded the much-compiled rocker ‘Four City Rock’ by Peter Lewis for Peak Records, along with much of that label’s other local output until Peak folded in 1965. Keith Robbins began his recording career at the Christchurch Recording Studio in a small shed in Springfield Road in the 1950s. It was this facility he took over when former owner Alan Dunford retired from recording in early 1958, and he renamed it Robbins Recording Studio. The studio itself thrived, recording radio jingles, TV adverts and any local artist who felt they needed to capture their sound. This ranged from country singers to brass bands to local rockers to the city's Celtic folk clubs. Indeed, many of these would find limited local release on the Robbins label, building up a substantial catalogue which could be found in Christchurch's many small record stores throughout the 1960s. Amongst the label’s releases were local instrumental bands such as The Niterons, The Saints (whose ‘Psycho’ is a moody pre-Beatles classic), The Detours and The Strangers (the last featuring the late Gary Thain, who was later in UK prog band Uriah Heep, on bass, and future producer Peter Dawkins on drums). 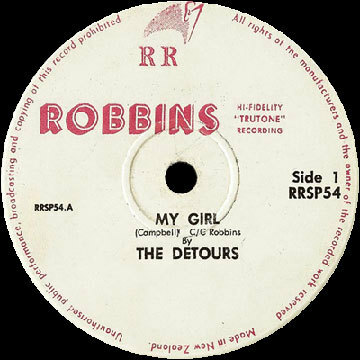 The Detours in particular sold well in the South Island with 'My Girl' charting locally in 1965. 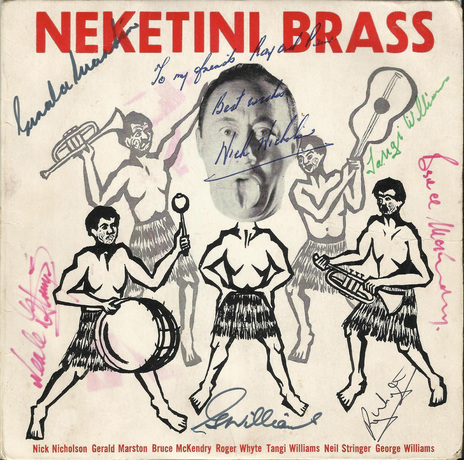 In 1969 the label issued the final EP by The Neketini Brass, sold only in the Canterbury region. One unique release was Audrey Amos’ 1969 7-inch ‘Tax-A-Dized Taxi’ b/w ‘The Taxpayer’s Lament’, a song written and recorded as a protest against an IRD audit of her husband’s business. Audrey paid for the recording and Robbins released it. Engineer John Phair, Robbins’ son-in-law, left in the 1970s and opened Tandem Studios, and as Robbins had done with his studio, launched a label of the same name. 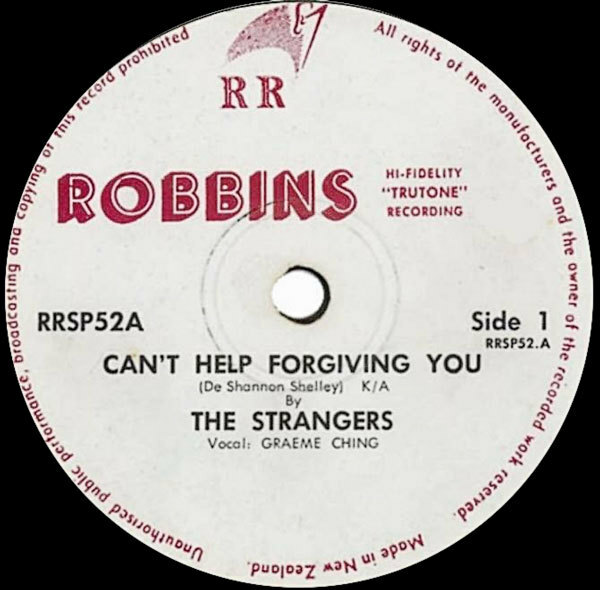 In the 15-plus years it released records in the city, Robbins issued some 150 records, both 7-inch singles and EPs as well as long players, although many of these were minimum pressing runs, often funded by the artist. Although it continued for some years as a studio (Bill Direen recorded there in the early 1980s), the label ceased issuing records in the late 1970s; and unfairly, given its prolific output, has been forgotten over the years. None of Robbins' catalogue is legitimately available now, although the odd rocker turns up on various gray market rock and roll compilations from time to time.